Simple. We conduct ourselves with one goal in mind, to complete each job to a high standard and leave our customers raving fans. We know you are entrusting us to complete your job in a professional manner and keeping our promises is something that we take very seriously. Our future as a growing business can only be guaranteed when we ensure our standard or work is second to none and our customers are happy at the end of the project. We also know many people are cautious when making a buying decision, particularly when there are contractors out there that simply don’t care. It is really important to appoint a contractor that is reliable and reputable, to ensure that you don't end up with poor quality workmanship, like the examples shown in the photos below. Here at Kalamunda Roof Restorers, we are often called in to fix problems that have been caused by inexperienced or unqualified repairers. One of the biggest problems we see on roofs is when home owners attempt to repair the roof themselves (DIY) or use unregistered and unqualified contractors to complete repairs and restorations. This is a big mistake and usually ends up costing the home owner more to rectify the mess. 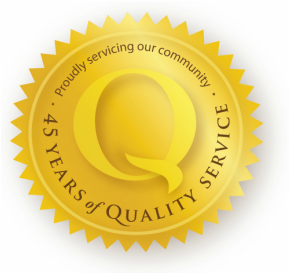 We recommend that you choose your roof repairer carefully to make sure they are experienced, qualified and backed by a company that will be around in Perth for many years to come. carried out by inexperienced or unqualified tradesmen. 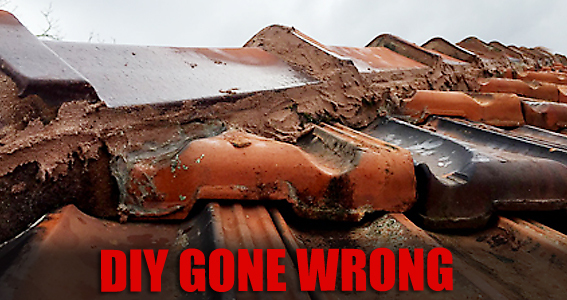 a roof repairer with a proven track record. This is a example of what you get by using an unqualified contractor to repoint your ridge caps. Not only does the end result look terrible, they have actually caused more damage than good. To fix this, you need to completely remove the existing ridge caps and start again. The owners of this roof tried to contact the man who completed this job but with no success. This image illustrates what happens when you buy painting services from a guy that goes from door to door offering cheap restorations. This particular job is only 2-3years old yet the paint's integrity has completely failed. The job ended up costing the client $4200. He tried to call the guy back only to find the phone number had been "disconnected". Beware of dodgy operators! This was a DIY job by the home owner - We suggested he stick to his day job and let us repair his ridgecaps! Another example of a poor quality painting job, either through poor surface preparation, no primer applied, or poor quality paint used. This client chose a guy that had his business number nailed to a lamp post. The leaflet advertised roof restorations from $1200 but ended up exceeding $3500. 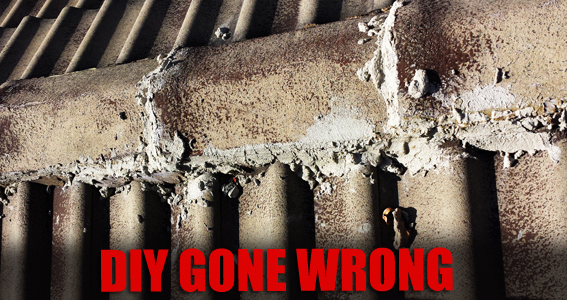 Whatever the case, this is not what you want to happen to your roof after only 5 years. Here we have an example of what happens when a handyman was asked to fix a roof leak. The grey areas of the roof you can see is silicon, and that is a lot of silicon. In an attempt to solve the leak, all they have done is cause more problems. I tell many clients that silicon should be kept in hardware stores behind lock and key for this exact reason! This particular roof was owned by the government (state housing) and my recommendation was to replace the roof. To this day the roof remains as you see it, and the leak issues continue. This roof has lost its original colour coating, which is the result of using non-genuine Colorbond. There are cheaper imports that are lower quality so always ensure your roof sheeting is sourced from a quality Australian made supplier if you wish to keep your roof looking great in the years to follow. With a climate that is changing, we must use materials and products that have been designed and tested to last. Another example of DIY done poorly.